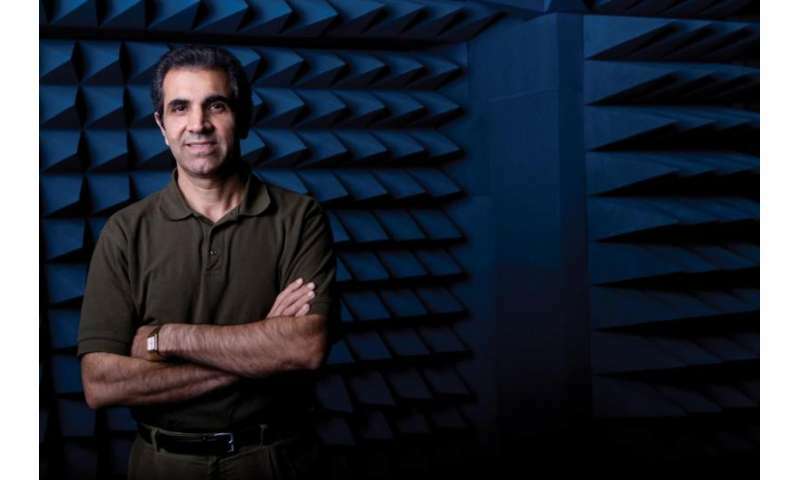 For the past four years, Villanova University Electrical and Computer Engineering Professor Ahmad Hoorfar, PhD, director of the Antenna Research Laboratory, has been working on wideband low-profile antennas that provide electronic warfare, jamming and communication capabilities for fiberglass ballistic and blast-resistant armor panels. Project leader Applied Nanotech, Inc. (ANI)—an expert in printed electronics—recently announced the panels' completion and successful testing in providing multi-channel communications and advanced active protection for vehicles, ships and buildings. According to the company's news release, "The multi-function armor eliminates the need for multiple high-profile communications antenna structures on military vehicles and ships, making them less visible and identifiable in hostile situations. The armor-incased antennas also have jamming capability to block radio signals, such as those used to remotely trigger explosives, including improvised explosive devices (IEDs)." In addition to Villanova, program partners include Armortex, maker of bullet-, blast- and forced entry-resistant products, and the University of Tennessee at Knoxville, which also worked on antenna design and modeling. The research was supported by a federal Small Business Technology Transfers program sponsored by the Office of Naval Research. Described as challenging yet exciting, Dr. Hoorfar explains, "This program was a synergistic combination of functional requirements, materials, novel design, modeling and testing." Next steps include further refinement of the developed antenna structure and preparation of a follow-up proposal to investigate its performance on various vehicular platforms of interest to Department of Defense agencies.